Dawn at 7.33am on the 21st March 2016 photographed from the bedroom window of his Shropshire home by Tony Sargeant. The trees are still bare but the first haze of green is appearing on the branches although there are still frosts on the ground after a clear night like this was. Not as bad as the previous photograph of the River Corve flooding in 2014 but after yesterday’s continuous heavy rain the water has made its way of the hills into the river and this is the result photographed by Anthony Sargeant at 9.00am this morning of the 7th February 2016.
that ought to lead thereto. or so it seems to the Outsider. This small Linthorpe vase in the collection of Eileen and Anthony Sargeant has a wonderful quality of glaze and shape. It joins a large number of other British Art Pottery pieces in the collection. It is 6 inches tall. Anthony J Sargeant has this photograph of the family car (1936 Vauxhall 16hp convertible) in 1955. 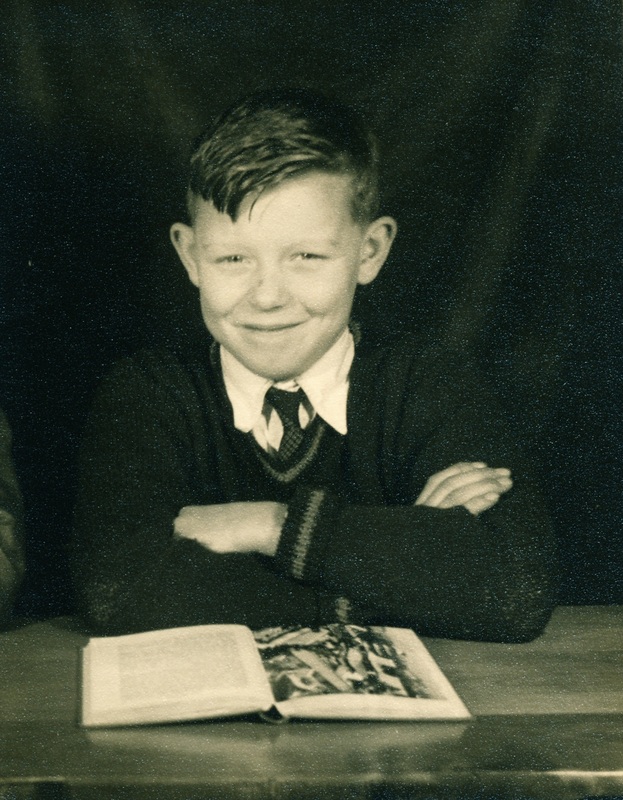 Anthony J Sargeant , Tony , School Photograph taken at Elfrida Junior School in 1955.